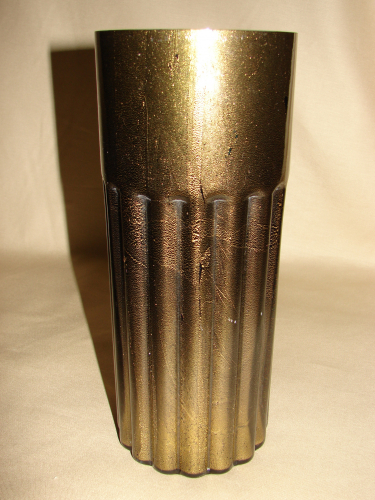 A rare vase by Seguso Vetri, Murano. The designer has created this deep, rich effect by combining two layers of clear and almost black glass with an interlayer of gold leaf. The end result is a wonderful creation which is dark and rich but also dazzles as the light picks up the gold leaf.